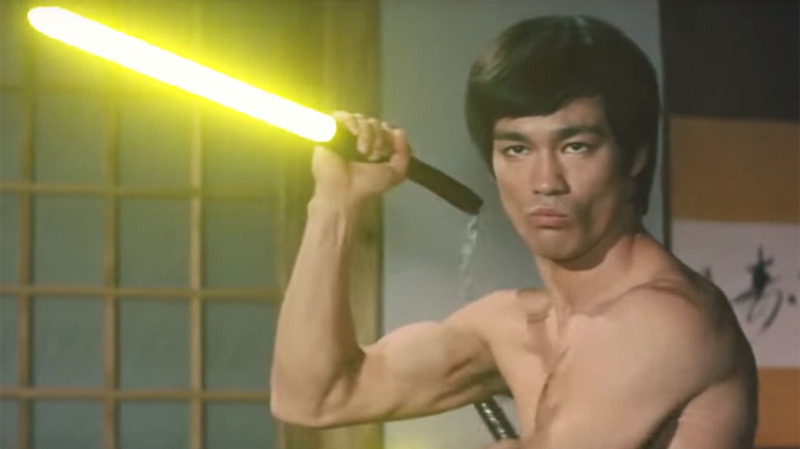 Home / StarWars / WATCH: What If Bruce Lee Had Lightsabers? Once again, the Internet proves that everything's better with lightsabers, even Bruce Lee. Lee was a major force for popularizing martial arts in the West with movies like Enter the Dragon and Fists of Fury in the 1970s. He never lived to be a part of Star Wars, but he surely should have been. Patrick Nan filled the gap by creating this video of Bruce Lee fighting with lightsabers instead of nunchucks from Fists of Fury. He was apparently inspired by ameeeba's artwork of Bruce Lee fighting Kylo Ren. It's not the first time a Bruce Lee movie has been edited with lightsabers (artmonkey posted a video from Enter the Dragon replacing his nunchucks with lightsabers in 2012), but this one is probably the most polished. For instance, he's not holding onto the glowing wand portion like in artmonkey's video. What do you think? What other movies would be better with lightsabers?